December 23-30, 2015 (2 years later) Almost continuous rain during this week. 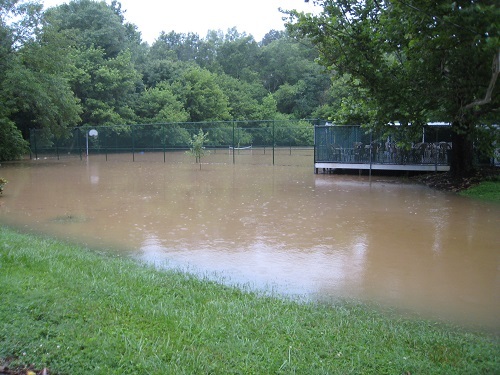 Booker Creek overflowed its banks. Some apartment complexes had to be evacuated. October 8, 2016 Rains from Hurricane Matthew strike North Carolina and cause severe flooding. 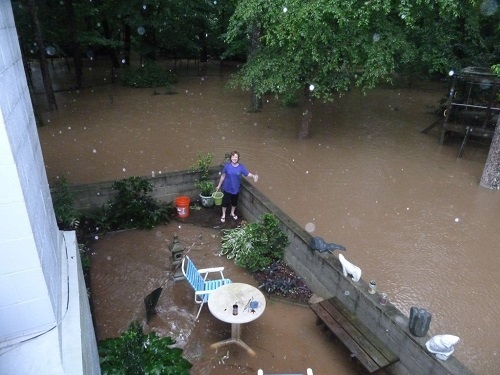 Below is a link to video and pictures from the flood of June 30, 2013. The common response from Town Council members has been: “The low lying properties should never have been built. 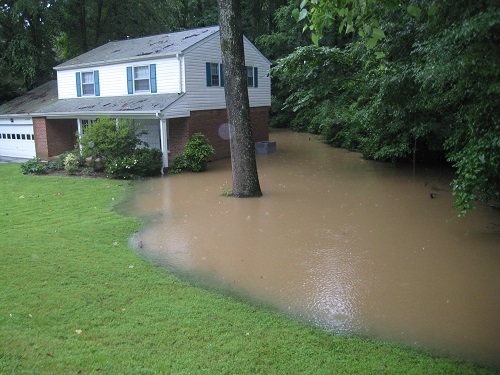 They were developed in the 1960s – prior to being annexed by Chapel Hill and before flood zone regulations came into being (1970s).” I agree 100% with that assessment, but unfortunately we can’t go back in time and rectify that mistake. Note the two mailboxes. The house of Martha and David Dill belongs to the one on the left. 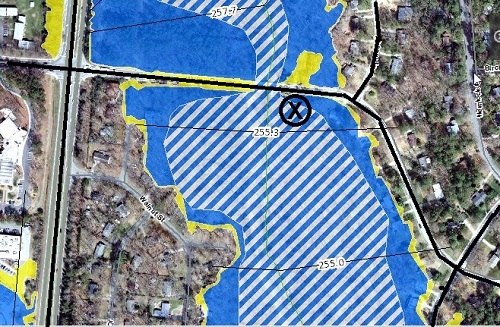 FEMA flood map showing the Dill's house marked with an X. Blue shows the 100 year flood zone. Yellow shows 500 year flood zone. I highlighted the main roads in black. 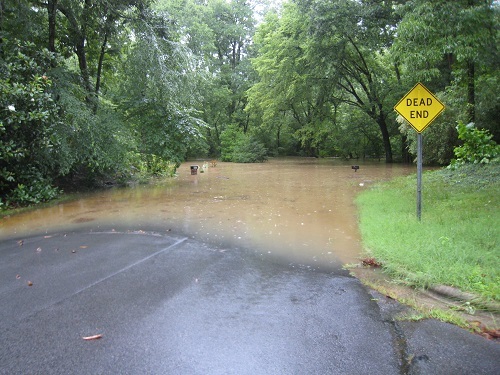 This is near Little Creek tributary 3 in the FEMA maps. FEMA map with main streets marked in black, and X marking the location of 1100 Willow Drive. 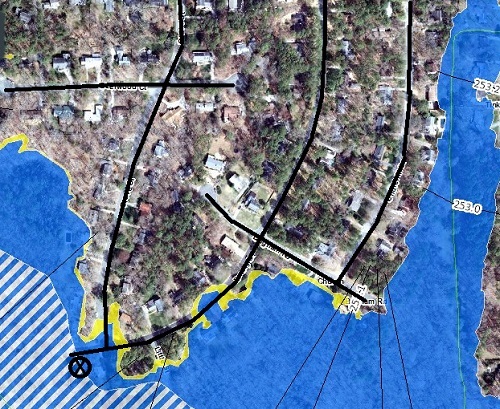 Blue = 100 year flood zone. Yellow = 500 year flood. X marks a house that "could not be built under current Chapel Hill rules" per Council member Ed Harrison. Has the Town received permission from FEMA and the State to bisect the flood plain with the new roads? 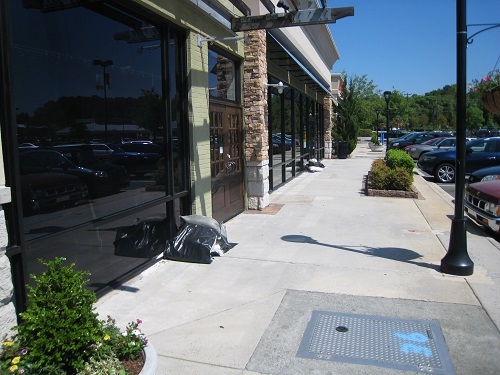 (May 3, 2014) Sandbags ready for use by Eastgate merchants. 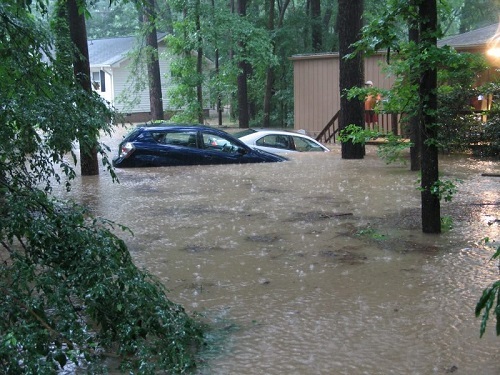 There was a flash flood warning a few days earlier. The storm water system under Eastgate easily overflows, so merchants are quick to get sandbags out. 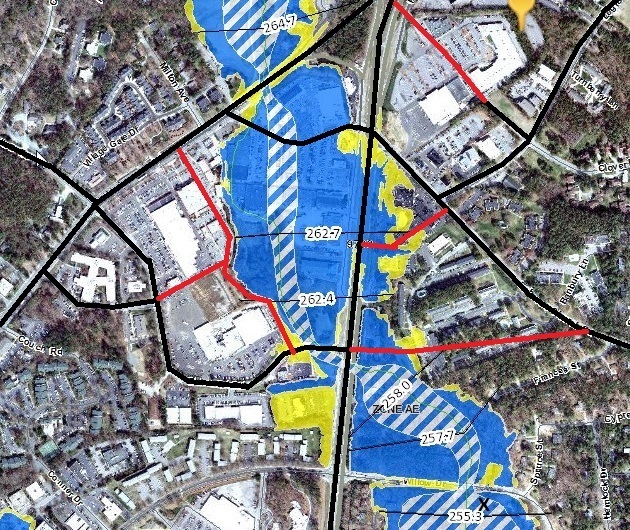 Per the previous FEMA map, Eastgate lies in a 100 year flood zone. By today's standards it would be zoned RCD (Resource Conservation District); however, the Town wants to up-zone it to 7 stories. This is insanity, in my opinion.